The past few weeks have been very busy for Buddee Bags. 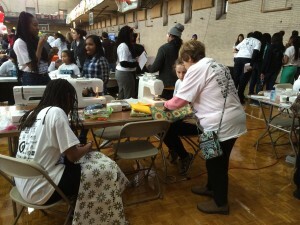 As you know, I participated in the MLK Day of Service at Girard College and was mentioned on KYW. This week, I was highlighted on the CBS Philly Caring Community! You can see that story by clicking here. The story has been shared by my friends and family on Twitter and Facebook which has been a great way for more people to learn about Buddee Bags! I am thankful for the nice messages and support. Don’t forget to LIKE Buddee Bags on Facebook and Follow me on Twitter! I would also like to say a special thank you for some recent donations that will help me to continue to purchase material and supplies! 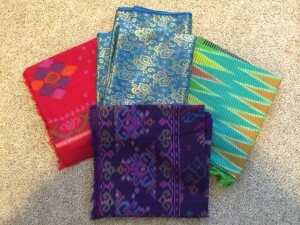 I also would like to share a picture of some beautiful fabric I received in the mail today from my Aunt Karen’s friend who was visiting Jarkata, Indonesia and thought of Buddee Bags! Today was the day I went to Girard College’s MLK Day of Service. There were 5,000 volunteers working on projects to help make the world a better place. 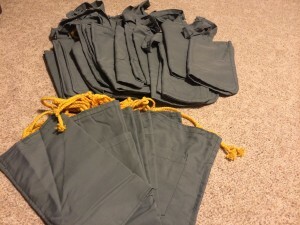 A number of people stopped by to learn more about Buddee Bags and how they can help me out. One of the things I was most proud of was helping to teach people how to sew and make a Buddee Bag. I also had a chance to speak to KYW1060 about my project. I am including some pictures and links from my day. Some of our wonderful volunteers! My best friend Jill came to help out! 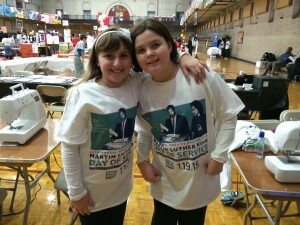 Getting ready for MLK Day! Sorry it has been a while since my last post! Over the past few weeks I have received a number of donations, I am very thankful for all of the support! I especially want to thank a volunteer who made 24 bags as a part of Make a Difference Day… I’ve included a picture. They will be put to good use! I have also been busy preparing for the Martin Luther Kind Day of Service on Monday. 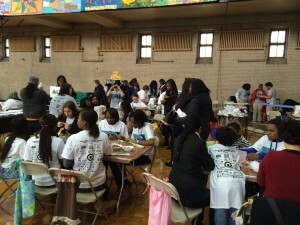 Emma (from DresseswithlovE) and I will be spending the day with some great volunteers at Girard College in Philadelphia. 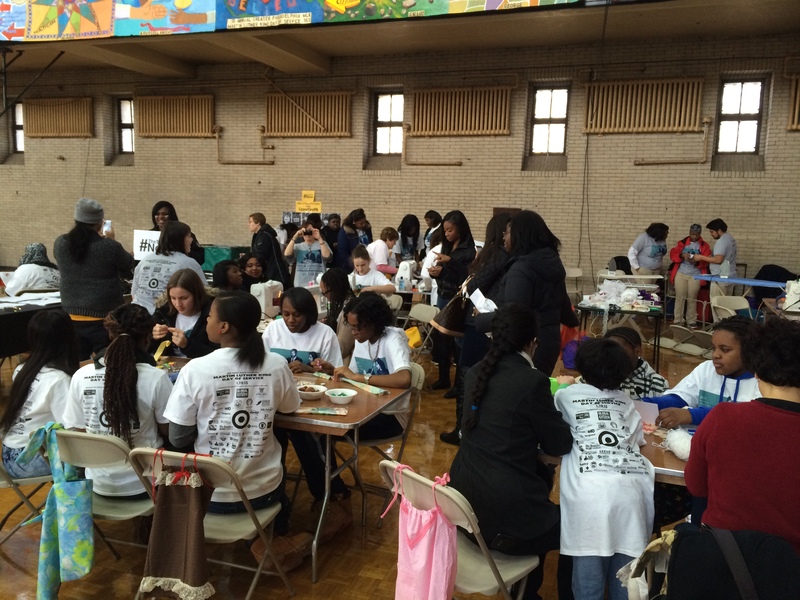 Girard College is the signature site for the MLK Day of Service in Philadelphia! I am very excited about this opportunity. You can learn more by clicking here.